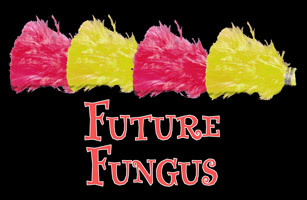 12.50 You reach up to the flower lapel on your jacket or costume and pull the flower away. 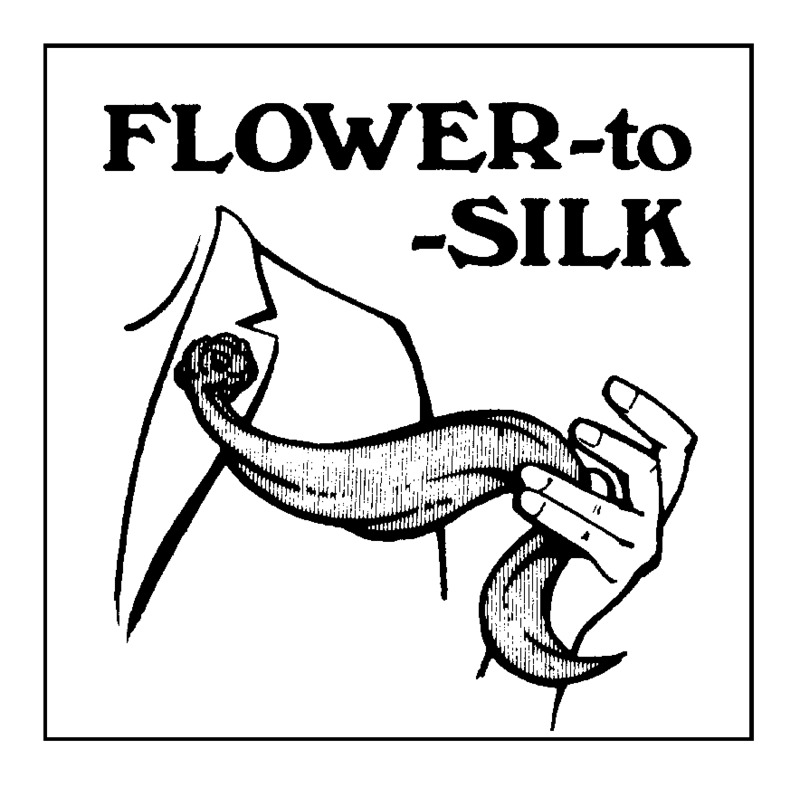 As it is pulled away it transforms into a silk handkerchief that can be used for your next effect! Will take either 12 inch or 18 inch silk hanks. Spider wire gimmick only, use your own hanks. 45.00 The magician displays an octagon-shaped tray. He ignites a piece of paper (flashpaper) on the tray, there is a flash and on the tray is now a bouquet of flowers. The magician can repeat the trick, but this time there is a huge bouquet of flowers, or anything else that will fit the load chambers! 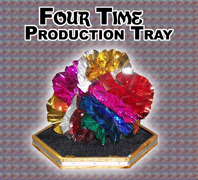 Use this tray to produce silk hanks, sponge balls, sponge eggs, etc, up to FOUR TIMES! The beautiful wooden tray is finely crafted. 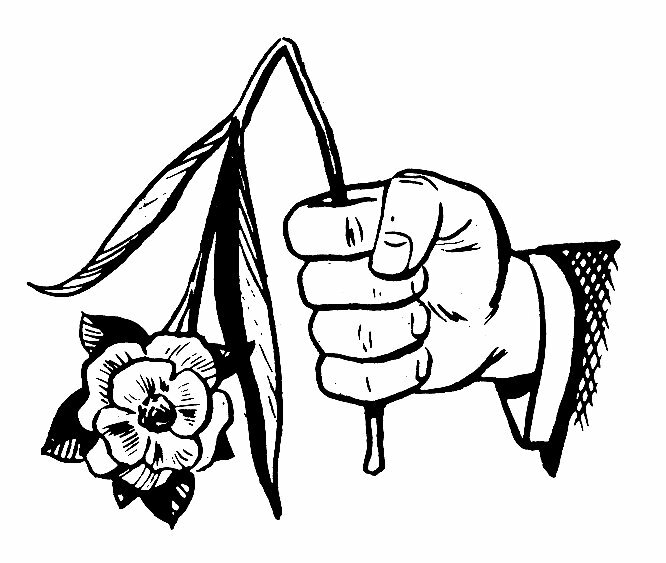 10.00 The magician shows a stalk with six flowers. The top three flowers are yellow and the bottom three flowers are red. 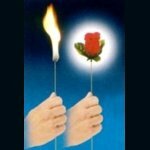 The magician moves his hand up the stalk and the flower order magically changes until finally he is left with alternating flowers; red, yellow, red, yellow, red, yellow. The magician has complete control to develop an entire routine over each flower's mysterious transformation. For an alternate handling, the magician can use red and yellow handkerchiefs to rub the flowers. He takes a red hank and rubs one of the yellow flowers and the yellow flower turns red! The stalk screws together in the middle for performance, and can unscrew of course for packing if needed. Yep, it's made in India and Future Fungus may be a very strange name for a flower effect, but the effect itself is really quite pretty and amazing. 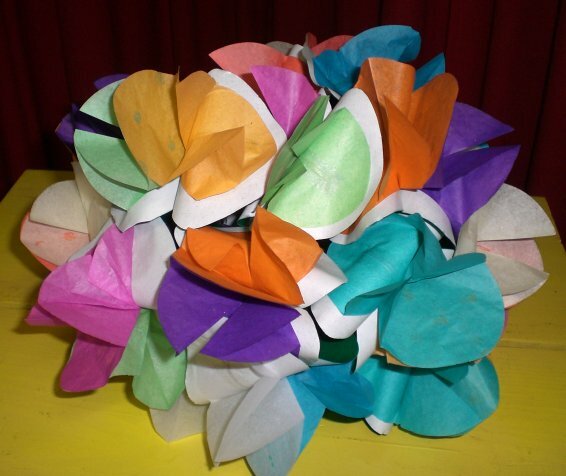 12.00 These paper spring flowers provide a beautiful production. Each flower has a string attached to it's "stem." With the strings tied together, a beautiful bouquet as per the picture can be instantly produced. Or without tying the strings together, produce the flowers one at a time. Each flower folds flat. When stacked together they make a packet a little less than an inch thick. The flowers are easy to conceal and yet expand instantly when released. Comes as a package of 25 individual flowers. Use a Devil's Handkerchief (see Silk Hanks) and place a couple of bouquets in the secret compartments. 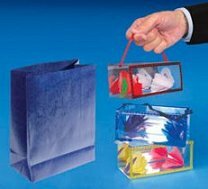 The magician can then show a handkerchief on both sides, fold it up into quarters, reach inside and produce the bouquets of flowers!